OpenIV has returned from being hit with a cease-and-desist thanks to coordinating with Rockstar Games on a new patch. The Grand Theft Auto mod community has been in an uproar of late thanks to Take-Two issuing a cease-and-desist to popular modding tool OpenIV. But the cries of outrage have apparently been heard, as OpenIV has returned after working on a new patch with Rockstar. When the cease-and desist was issued earlier this month, Rockstar Games issued a statement that said, "Unfortunately OpenIV enables recent malicious mods that allow harassment of players and interfere with the GTA Online experience for everybody. We are working to figure out how we can continue to support the creative community without negatively impacting our players." After the shutdown, OpenIV developer Yuriy "Good-NDS" Krivoruchko told Motherboard that is "possible that some modders have used OpenIV to impact GTA Online." He also said that he never designed the tools for that purpose. "This does not apply to (i) multiplayer or online services; (ii) tools, files, libraries, or functions that could be used to impact multiplayer or online services, or (iii) use or importation of other IP (including other Rockstar IP) in the project. This is not a license, and it does not constitute endorsement, approval, or authorization of any third-party project. Take-Two reserves the right to object to any third-party project, or to revise, revoke and/or withdraw this statement at any time in their own discretion. 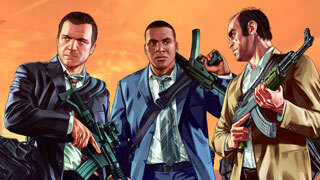 This statement does not constitute a waiver of any rights that Take-Two may have with respect to third-party projects." While this does mean that OpenIV is now back in action, it's worth noting that the restrictions laid out here are generally the same reasons originally given for the initial cease-and-desist. Also, Take-Two saying that it "generally" will not take action doesn't rule out the possibility of select single-player mods still getting the ax. All that said, it's good to see the community's concerns being addressed, and modding being brought back to life got the GTA series. Let's just hope some bad apples don't ruin it for everyone else.